Although we've all known it for years, there hasn't really been an easy way to quantify New York's status as "Pizza Capital of The World" -- until now. Thanks to our modern fixation with sharing and hashtagging everything we eat, a UK-based photobook company called Photoworld was able to scrape Instagram's data to find the "Food Capitals of Instagram," aka which cities are top hotspots for various types of chow, from banh mi and bacon to pierogis and, yes, pizza. 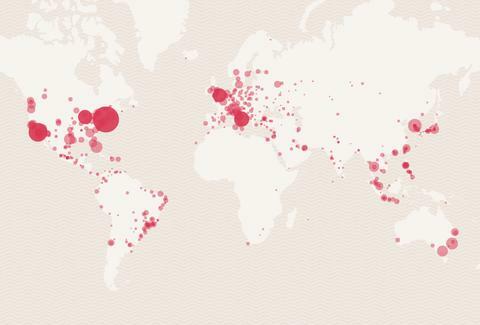 Obviously, any data set as limited as an Instagram scrape's gonna be biased toward so-called "first world" cities, and the maps do reflect this. 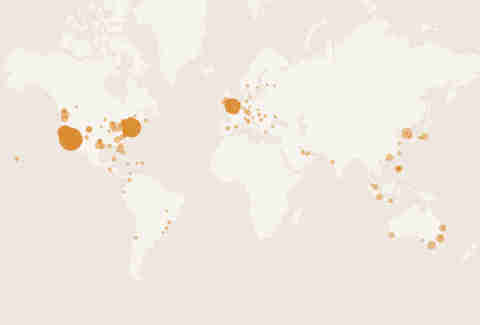 For instance: the one above shows Los Angeles as the number one spot for burritos, with 8.8% of all photos with the #burrito hashtag taken there. NYC follows in second place with 6.2%, while London closes out the top three with 4%. This makes outliers all the more interesting, though. 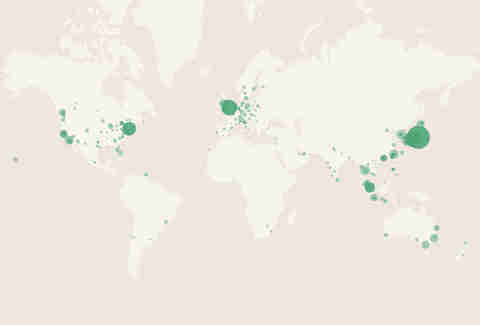 Case in point, the above map of photos tagged with #curry shows Japan as having both the number one (Tokyo, 10%) and number two (Osaka, 4.8%) cities. Meanwhile, London came in third with 4.6% despite its longstanding love affair with curry. In addition to expatriated foods, the maps give an idea of stuff that hasn't made the jump just yet, like the #currywurst example above. 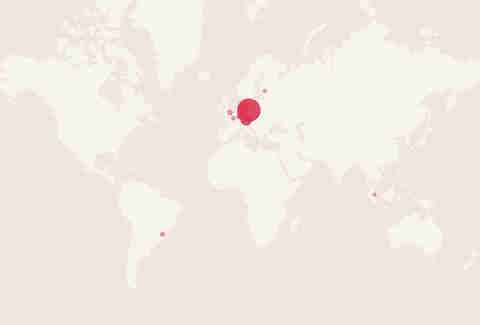 All five of the top cities for that hashtag were located in Germany, with Berlin taking top honors at 39%. All this being said, though, you've really gotta play around with the maps on a big screen to get a true feel for them, so if you're on a mobile device, bookmark this article and check out the Food Capitals of Instagram when you get home.